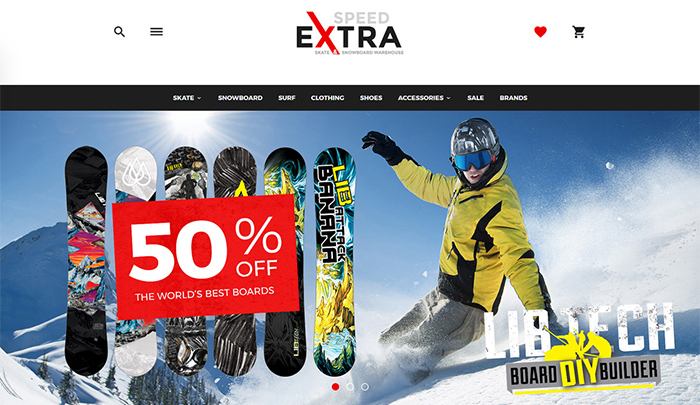 Have you been looking for ways to make your eCommerce portal look wonderful? With so many brands coming up, the eCommerce portal has consequently grown up to be one of the best sources of expanding your business. The basic target of every eCommerce portal is to gain a lot of traffic and potential customers who would purchase the products and services and the brand will make a lot of money in return. 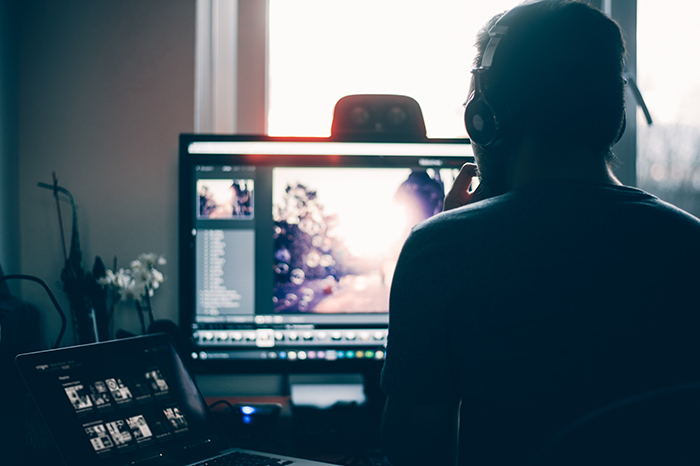 No matter if your business has been around for years or you are starting up, it is essential to learn the benefits that an online portal always brings to its users. Since more and more people are offering a greater preference to online purchases, eCommerce portals have been doing really well in the present market. If you are a startup and you want your business to do really well, you can certainly opt for ways to make your website more appealing. Make sure that your website would be representing you and your brand before the clients. Thus, web designing is a significant attribute of the whole deal. Of course, the quality of your products and services matter but before trying out your goods, a client would surely prefer to have a glance at your website! 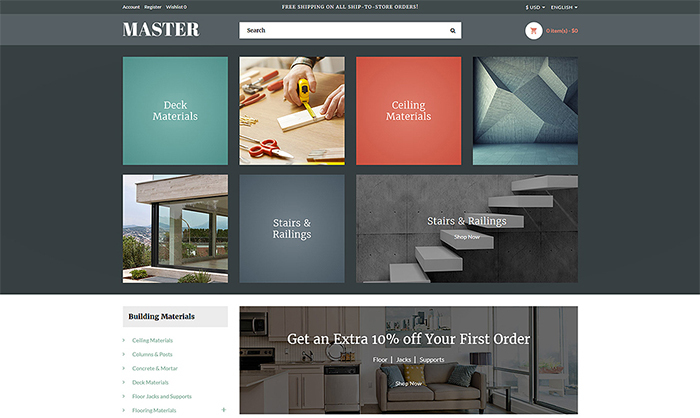 OpenCart themes from Template Monster are readily available with predefined styles and fonts along with other popups, newsletter subscription, mobile compatibility and so many features. Dealing in ladies’ goods, particularly, you need to feature a charming and appealing eCommerce portal. Thus, this theme would be a perfect choice for your cosmetics store. It delivers multiple layout options, social sharing options, easy customization, and cross browser compatibility, along with various other flexible options. The effects and font or style variations of the theme allow you to add your products on the site. It is up to you whether you want to make it bold with a vintage wine shade or keep it light and soothing with the light shade of pink or red. This is a responsive OpenCart theme that features a MegaMenu option, a deal module, an RTL language support, and other options. It also features multiple layout options, a live theme editor, and different other specifications. If you have been looking for a theme that fits your cosmetics store, this is definitely the best deal at your hand. It gives a unique dimension to your website and helps it avail an appearance that no user will be able to turn back from your portal without making a purchase. This theme also offers flexible working options that let users keep exploring your portal for hours. 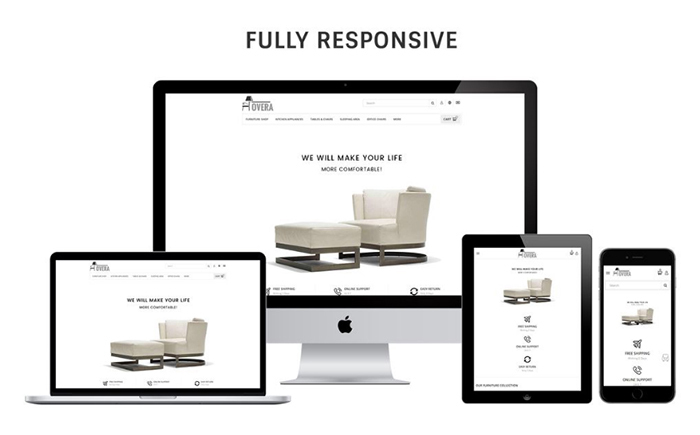 Hovera is a cozy and agreeable template designed for selling your striking furniture. Thanks to excellent multi-language functionality, you can awake an interest in people from all over the world. Present reviews from your loyal customers using testimonials and give your online-store an identifying mark. In addition to this, Product Quick View, Hover Style, Compare, and Comment Module will become great additions to your website. An elegant template that will certainly distinguish your lingerie online-store from its rivals. Together with a cool social media integration, it will no doubt that everyone will notice your goods. You can also show off featured, latest, top-selling, and special products using the very same modules. Do not forget cloud zoom integration and product image rollover effect to engage your visitors. Men and women fashion, accessories, glasses, handbags. This is not the full list of product that you can sell using this stunning solution. You will get unlimited banners that will make it possible to pass by your hottest offers and product extension. Without a doubt, your visitors will be happy to take advantage of the shopping cart dropdown placed on the header. A purely stylish template that has a luxurious and sophisticated design. Using simple page layout settings, it will take you nothing to organize your content in the most visually-attractive way. In order to make people pay more attention to your assortment, make use of featured, latest, top-selling, and special products modules. Furthermore, a great brand logo with a slider will make it certain that everyone will decide to choose your fashionable online-store. 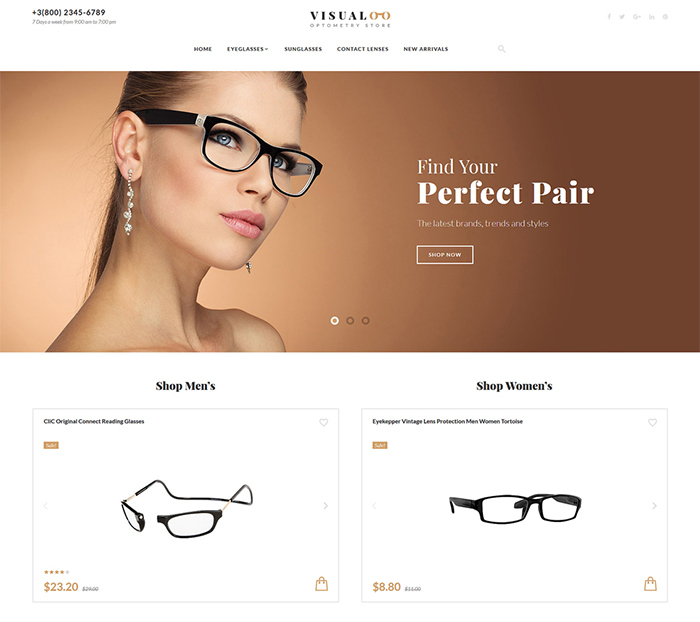 This theme works pretty well for glasses store and features a minimal design with speed optimization, a mega menu, and SEO provisions. It also features social sharing options and you can use that to reach out to a greater amount of traffic. There is an email subscription form that allows you to offer a good deal to the interested customers. You can inform them through your discount offers or recent arrivals through their emails. Thus, it makes contact easier as you can directly deal with them, which in turn shall improve the brand and user engagement. 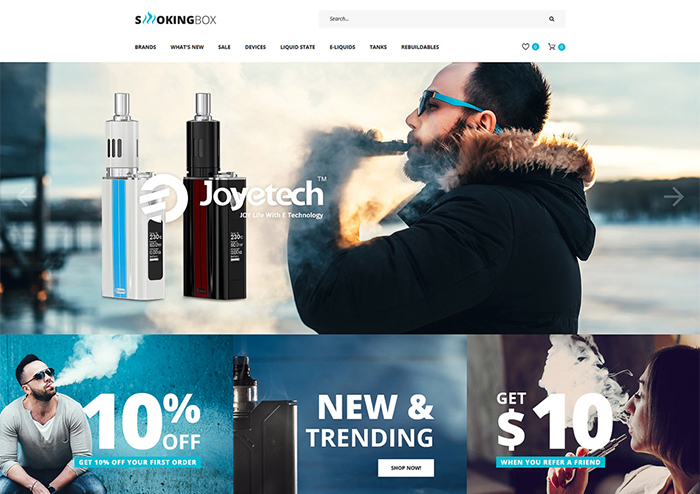 This Tobacco Responsive OpenCart theme features an RTL language support with a featured slider and a demo content along with newsletter subscription and similar other options. It comes with CSS3 and HTML 5 code that comes up with all the modern features that any website would look for. Besides, the customization prospects are truly awesome. It is a responsive OpenCart template that has got unlimited colors and fonts and social media integration. There are several other options along with such as cloud zoom, optimization prospects and other options that would make your website worth a good deal of appreciation from the customers. It features a featured content slider, a simple design that would surely help you to give an eye-pleasing apparel of your business before the users. Home decorating or remodeling is about how well you recreate your home. 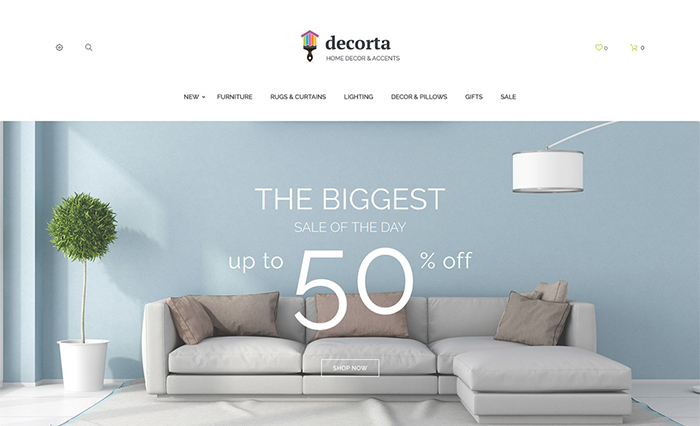 The same goes for web designing, and thus, Home Decor responsive OpenCart template helps you design a perfect website that has got all the necessary features to make the design appear beautiful and eye pleasing. There are multiple layout options and cross browser compatibility that will uplift your business to a different level. Since you have been planning to design an online store that deals in watches, you must also know the significance of each moment we have got at our hands! 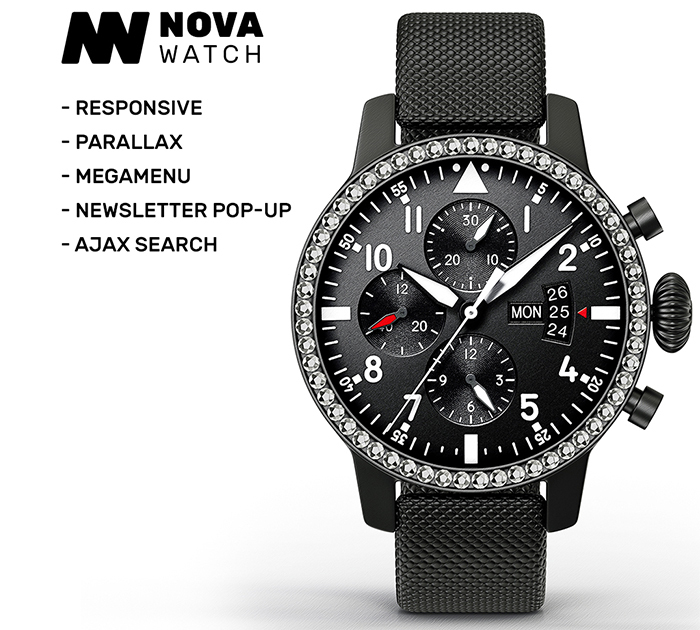 This theme is surely an ideal one that lets you design your watch store in the best possible way. Being a pre-defined theme, it comprises of all the modern features that have been going on the current trend. Thus, a simply designed interface will definitely determine the overall outlook of your site. Besides, the SEO optimized theme helps your portal rank good in the search engine which in turn is more focused to increase the potential customers you own! 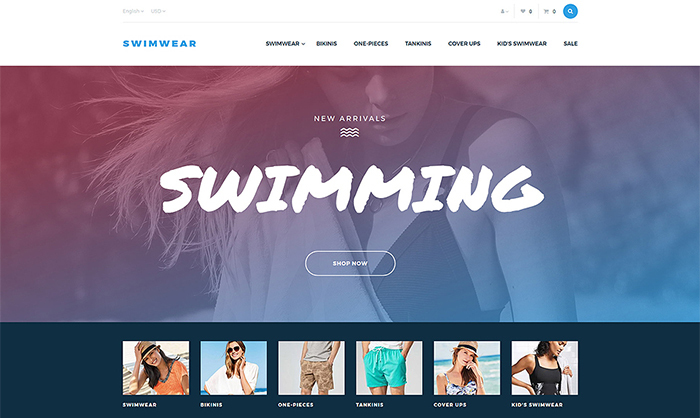 This responsive OpenCart theme includes Cloud zoom, speed optimization, RTL language support, SEO optimization and other specs, such as a slideshow of the featured products, Google fonts, multi-lingual support, Revolution slider, and other features. 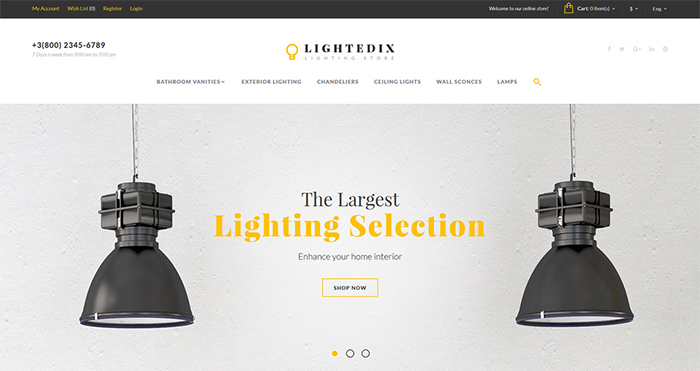 This theme features a content slider, cross browser compatibility, a clean design, and a user-friendly interface. Moreover, there are custom header and footer options and you will surely be able to design a more lucrative website with the features that this template offers. There are email subscription options, pop ups, newsletter subscriptions and different other features that will help you design a truly fantastic website for your niche. You can either choose to make separate pages for your products or services or look for designing a portal that will consist of a compact package, featuring all your goods on a single page. 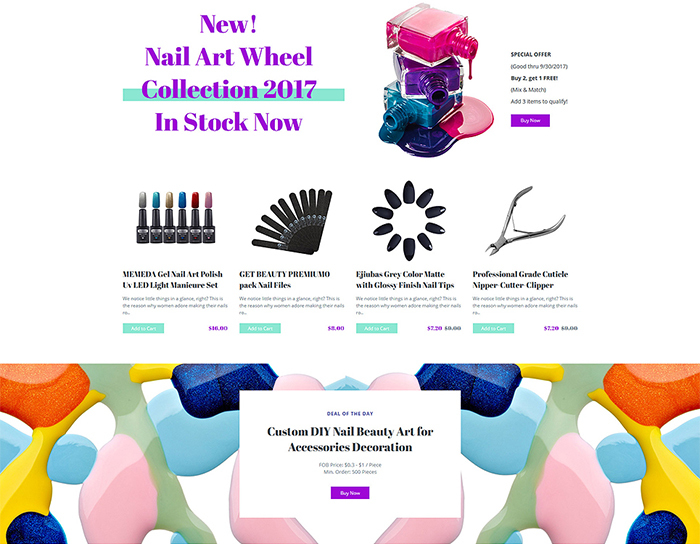 This OpenCart template is good to go with any cosmetics store and with such unlimited fonts and color options; you can pick any of them depending upon your preference or requirements. It has stylish features and layouts with ample space for your products. 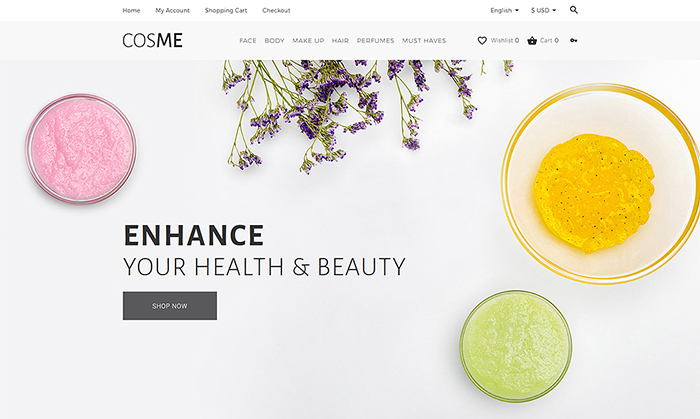 A wise web design would never go to waste and certainly, this is the best deal a cosmetics store would fetch. You can add an about page and specify suitable contents to let your customers know about the kinds of products you deal in. Mega menu, parallax scrolling, and various other options help you enhance the user experience of your site. All these themes are too good to work with, so you may choose your particular niche and pick out any of these themes that meet your requirements, and you will be able to witness the growth of your start up firm within a little amount of time. 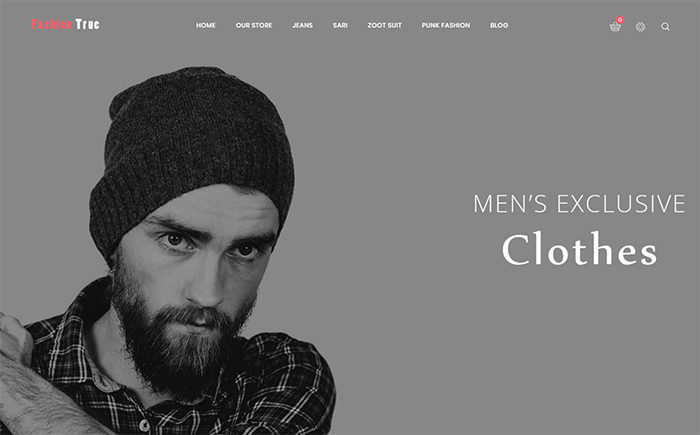 Powered by Thementic | Theme: Premium Themes by Thementic.